10,368 ± sq. ft. of vacant land zoned UR/Urban Residential. Located near a multi-family community in Hidalgo County. RESIDENTIAL LAND Per the stated Terms of Sale, this property is sold AS IS WHERE IS. Vacant land for auction. Located on Orlando Street in the CSW Owners Association, this 10,368 ± sq. 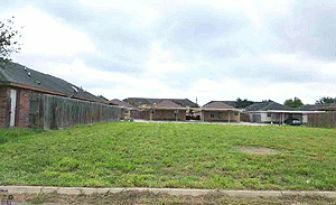 ft. lot has all available utilities to the area, is the approximate size of the surrounding Fourplex lots, with HOA pool access.